Since 2012, overall network service prices in the developed world have declined by 5% to 20% annually, depending on the specific service and geography, but enterprises often fail to achieve the full potential savings. Prices for nonstandard or legacy network services see little decrease or even increases. Although network technology improvements can reduce an operator’s cost of delivering service, network service providers (NSPs) will only pass on savings to customers when they’re pressured to do so. 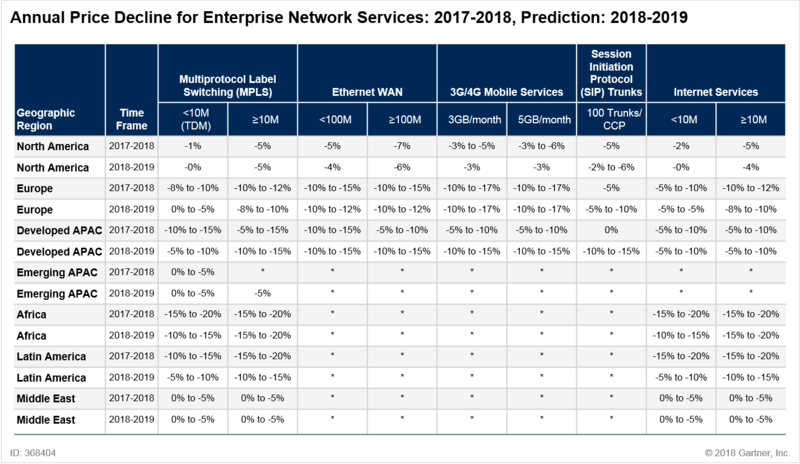 By 2020, 10 Mbps Ethernet access to Multiprotocol Label Switching (MPLS) or internet services will be priced lower than T1 or E1 access to the same services, from a premium of up to 1.5 times today’s T1/E1 price. By 2020, MPLS pricing in mature markets will equalize with business-grade internet services, down from the 10% to 20% premium in 2018. 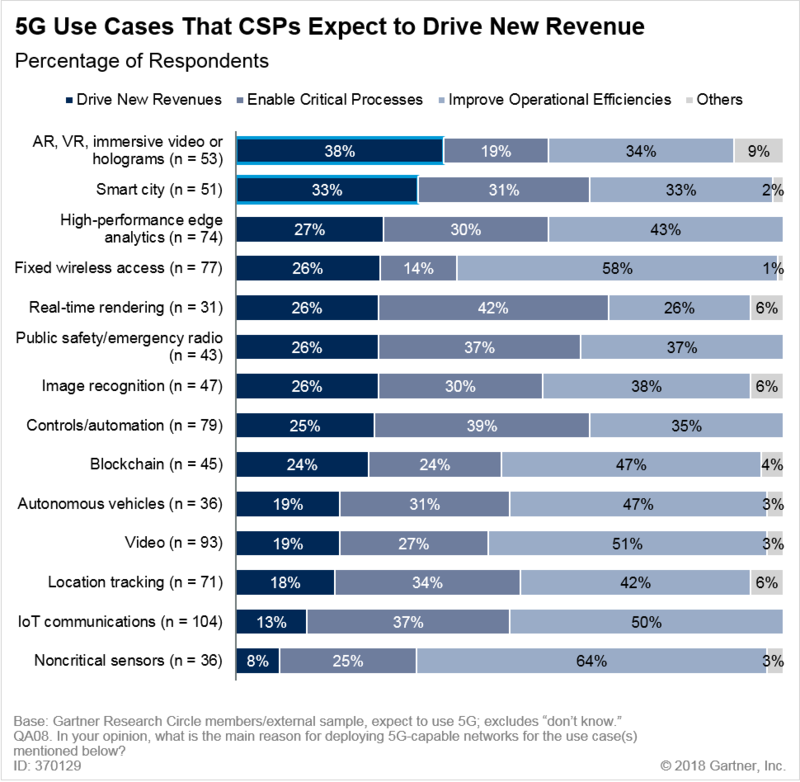 By 2020, the cost of 5G enterprise cellular services will be priced at a premium of 10% or less above 4G cellular services. There is considerable country-to-country variation within regions. The countries with a greater degree of competition (three or more viable choices for a service) have seen larger price decreases than countries that have little or no competition. We have noted with an asterisk (*) the regions in which there is either too little data or where large variations in pricing exist, negating any meaningful “average” price trend. The North American telecommunications market is very mature, with highly competitive conditions. Within all five service group categories, there are more than three providers. Since the competitive landscape has seen some consolidation, the only truly viable way for Gartner clients to take advantage of these conditions is to create a competitive RFP. T1 or any other TDM-based access to any network services should be treated as legacy and only used when no other access services are available. These prices are not changing, and Gartner predicts they could possibly increase in the near future as providers are eager to shed those amortized assets. The pricing of MPLS and direct internet access, over optical Ethernet access, continues to converge with internet access typically not more than 10% to 15% cheaper than MPLS, while Ethernet services remain significantly cheaper. Broadband internet access pricing is not decreasing significantly, although average speeds are continuing to increase, as are the number of providers in the market. SIP trunking is fully mature, and existing ISDN lines should be replaced with SIP as soon as the contractual opportunity arises. Cellular is a mature service, with 4G LTE the default network technology for most voice, messaging and data plans. 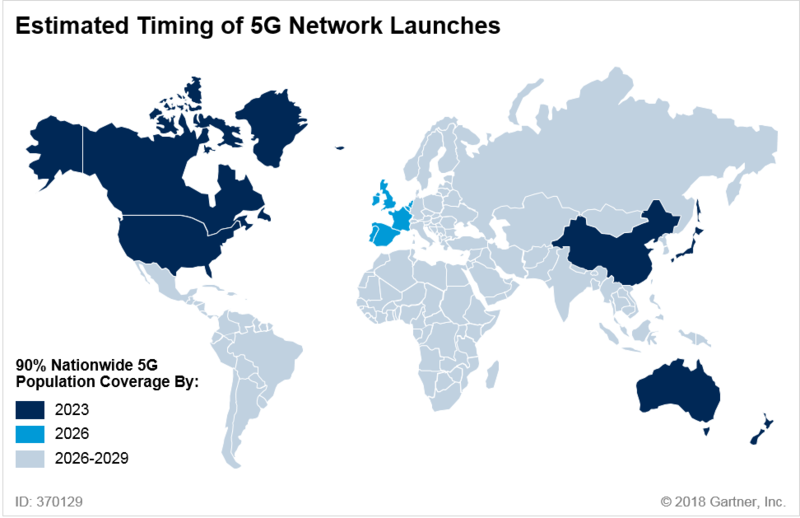 While 3G network fallback still is available for areas of weak 4G coverage, providers do not differentiate service plans or prices for the two technologies. Data plan cost reductions primarily have occurred due to more competitive negotiated discounts from standard or rate card prices. 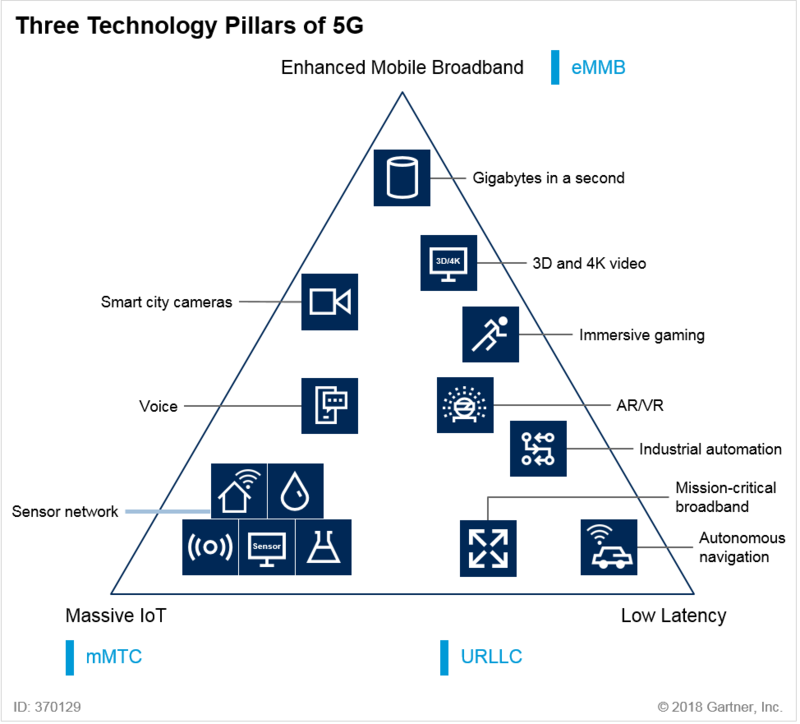 Standards-based 5G technology providing higher data speeds, lower latency and the ability to support significantly higher cellular endpoint density than 4G LTE will begin commercial availability in 2020 and later. Avoid sourcing services that are not part of provider’s standard portfolio, even if this means accelerating the depreciation of nonstandard devices or losing some functionality of nonstandard configurations. Migrate away from legacy network services, even if it means replacing edge devices, while seeking improved pricing from the provider in return for adopting the current offerings. Ensure you are fully aware of any end-of-life announcements for network services you are using and aim to migrate away from such services. As enterprises increasingly rely on the internet for WAN connectivity, they are challenged by the unpredictable nature of internet services. Enterprises seeking more agile WAN services continue to be blocked by network service providers’ terms and conditions. Enterprises seeking more agile network solutions continue to be hampered by manual processes and cultural resistance. Reduce the business impact of internet downtime by deploying redundant WAN connectivity such as hybrid WAN for business-critical activities. Improve WAN service agility by negotiating total contractual spend instead of monthly or annual spend. Improve agility of internal network solutions by introducing automation of all operations using a step-wise approach. Ensure the performance of cloud-based applications by using carriers’ cloud connect services instead of unpredictable internet services. Improve alignment between business objectives and network solutions by selectively deploying intent-based network solutions. Service providers are investing in their data centers (DCs) to improve scalability, deploy applications rapidly, enable automation, and harden security, according to the Data Center Strategies and Leadership Global Service Provider Survey from IHS Markit. Respondents are considering taking advantage of new options from server vendors such as ARM-based servers and parallel compute co-processors, allowing them to better match servers to their workloads. The workloads most deployed by service provider respondents were IT applications (including financial and on-line transaction processing), followed by ERP and generic VMs on VMware ESXi and Microsoft Hyper-V. Speed and support for network protocol virtualization and SDN are top service provider DC network requirements. “Traditional methods for network provisioning to provide users with a quality experience, such as statically assigned priorities (QoS) in the DC network, are no longer effective. The DC network must be able to recognize individual application traffic flows and rapidly adjust priority to match the dynamic nature of application traffic in a resource-constrained world. New requirements for applications delivered on demand, coupled with the introduction of virtualization and DC orchestration technology, has kicked off an unprecedented transformation that began on servers and is now reaching into the DC network and storage,” said Cliff Grossner Ph.D., senior research director and advisor for cloud and data center at IHS Markit , a world leader in critical information, analytics and solutions. “Physical networks will always be needed in the DC to provide the foundation for the high-performance connectivity demanded of today’s applications. Cisco, Juniper, Huawei, Arista, and H3C were identified as the top five DC Ethernet switch vendors by service provider respondents ranking the top three vendors in each of eight selection criteria. These Ethernet switch providers have a long history as hardware vendors. When selecting a vendor, respondents are heavily weighing factors such as product reliability, service and support, pricing model, and security,” said Grossner. · Respondents indicate they expect a 1.5x increase in the average number of physical servers in their DCs by 2019. · Top DC investment drivers are scalability (a driver for 93% of respondents), rapid application deployment (87%), automation (73%), and security (73%). · On average 90% of servers are expected to be running hypervisors or containers by 2019, up from 74% today. · Top DC fabric features are high speed and support for network virtualization protocols (80% of respondents each), and SDN (73%). · 100% of respondents intend to increase investment in SSD, 80% in software defined storage, and 67% in NAS. · The workloads most deployed by respondents were generic IT applications (53% of respondents), followed by ERP and generic VMs (20%). · Cisco and Juniper are tied for leadership with on average 58% of respondents placing them in the top three across eight categories. Huawei is #3 (38%), Arista is #4 (28%), and H3C is #5 (18%). The IHS Markit Data Center Networks Intelligence Service provides quarterly worldwide and regional market size, vendor market share, forecasts through 2022, analysis and trends for (1) data center Ethernet switches by category [purpose-built, bare metal, blade, and general purpose], port speed [1/10/25/40/50/100/200/400GE] and market segment [enterprise, telco and cloud service provider], (2) application delivery controllers by category [hardware-based appliance, virtual appliance], and (3) software-defined WAN (SD-WAN) [appliances and control and management software], (4) FC SAN switches by type [chassis, fixed], and (5) FC SAN HBAs. Vendors tracked include A10, ALE, Arista, Array Networks, Aryaka, Barracuda, Cisco, Citrix, CloudGenix, CradlePoint, Dell, F5, FatPipe, HPE, Huawei, Hughes, InfoVista, Juniper, KEMP, Nokia (Nuage), Radware, Riverbed, Silver Peak, Talari, TELoIP, VMware, ZTE and others. Physical interfaces: Physical interfaces to plug-in devices are a very common component of products in this market. 10G is now the most common interface speed we see in enterprise data center proposals. 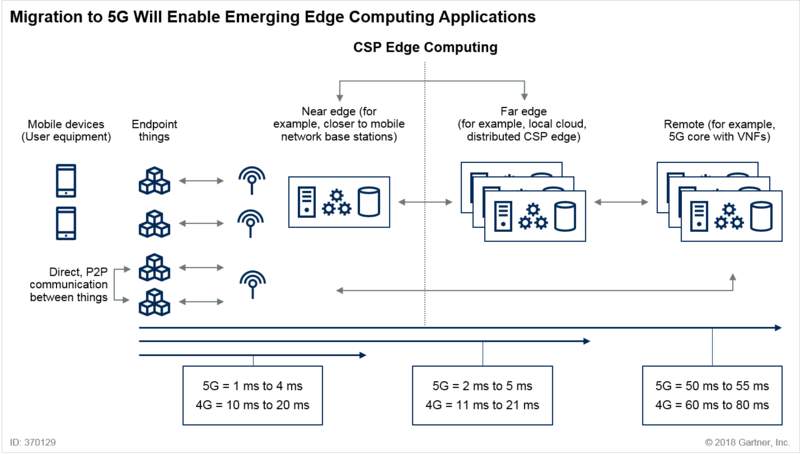 However, we are also rapidly seeing the introduction of new Ethernet connectivity options at higher speeds (25 GbE, 50 GbE and 100 GbE). Interface performance is rarely an issue for new implementations, and speeds and feeds are less relevant as buying criteria for the majority of enterprise clients, when compared to automation and ease of operations (see “40G Is Dead — Embrace 100G in Your Data Center!” ). Physical topology and switches: The spine-and-leaf (folded Clos) topology is the most common physical network design, proposed by most vendors. It has replaced the historical three-tier design (access, aggregation, core). The reduction in physical switching tiers is better-suited to support the massive east-west traffic flows created by new application architectures (see “Building Data Center Networks in the Digital Business Era” and “Simplify Your Data Center Network to Improve Performance and Decrease Costs” ). Vendors deliver a variety of physical form factors for their switches, including fixed-form factor and modular or chassis-based switches. In addition, this includes software-based switches such as virtual switches that reside inside of physical virtualized servers. Switching/infrastructure management: Ethernet fabric provides management for a collection of switches as a single construct, and programmable fabrics include an API. Fabrics are commonly adopted as logical control planes for spine-and-leaf designs, replacing legacy protocols like Spanning Tree Protocol (STP) and enabling better utilization of all the available paths. Fabrics automate several tasks affiliated with managing a data center switching infrastructure, including autodiscovery of switches, autoconfiguration of switches, etc. (see “Innovation Insight for Ethernet Switching Fabric” ). Automation and orchestration: Automation and orchestration are increasingly important to buyers in this market, because enterprises want to improve speed to deliver data center network infrastructure to business, including on-demand capability. This includes support and integration with popular automation tools (such as Ansible, Chef and Puppet), integration with broader platforms like VMware vRA, inclusion of published/open APIs, as well as support for scripting tools like Python (see “Building Data Center Networks in the Digital Business Era” ). Network overlays: Network overlays create a logical topology abstracted from the underlying physical topology. We see overlay tunneling protocols like VXLAN used with virtual switches to provide Layer 2 connectivity on top of scalable Layer 3 spine-and-leaf designs, enabling support of multiple tenants and more granular network partitioning (microsegmentation), to increase security within the data center. Overlay products also typically provide an API to enable programmability and integration with orchestration platforms. Public cloud extension/hybrid cloud: An emerging capability of data center products is the ability to provide visibility, troubleshooting, configuration and management for workloads that exist in a public cloud provider’s infrastructure. In this case, vendors are not providing the underlying physical infrastructure within the cloud provider network, but provide capability to manage that infrastructure in a consistent manner with on-premises/collocated workloads. You can see user reviews for Data Center Networking vendors here. In a new report, HTF Market Intelligence says that the Global Data Center Colocation Market will Have Huge Growth by 2025. The key players are highly focusing innovation in production technologies to improve efficiency and shelf life. The best long-term growth opportunities for this sector can be captured by ensuring ongoing process improvements and financial flexibility to invest in the optimal strategies. Company profile section of players such as NTT Communications Corporation, Dupont Fabros Technology, Inc., Digital Realty Trust, Inc., Cyxtera Technologies, Inc., Cyrusone Inc., Level 3 Communications Inc., Equinix, Inc., Global Switch, AT&T, Inc., Coresite Realty Corporation, China Telecom Corporation Limited, Verizon Enterprise Solutions, Inc., Interxion Holding NV, Internap Corporation & KDDI Corporation includes its basic information like legal name, website, headquarters, its market position, historical background and top 5 closest competitors by Market capitalization / revenue along with contact information. Each player/ manufacturer revenue figures, growth rate and gross profit margin is provided in easy to understand tabular format for past 5 years and a separate section on recent development like mergers, acquisition or any new product/service launch etc. A Gartner-conducted software-defined (SD)-WAN survey has identified the key drivers for SD-WAN adoption and preferences for managed services from non-carrier providers. Despite its relative immaturity, the perceived benefits create incentives for IT leaders responsible for networking to leap into SD-WAN pilots now. Please refer to our report on IHS-Markit analysis of the SD-WAN market. Cisco and VMware are the top two vendors due to recent acquisitions of Viptela and Velocloud respectively. Cisco also bought Meraki which provides a SD-WAN solution as well as business WiFi networks. Enterprise clients cite increased network availability, reliability and reduced WAN costs resulting from less-expensive transport as the top benefits of software-defined WAN. 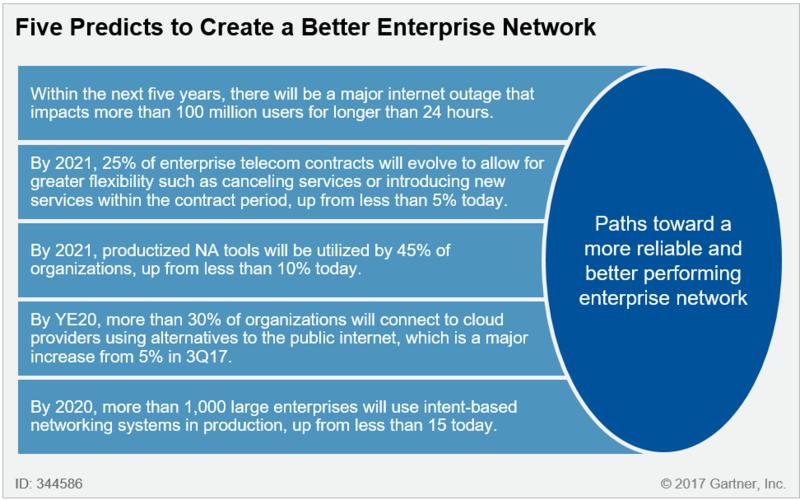 Enterprise clients are concerned about the large number of SD-WAN vendors and anticipate market consolidation, making some early choices risky. A lack of familiarity with the technology, the instability of the vendors, and skepticism about performance and reliability are the most common concerns when deploying SD-WAN. Nearly two-thirds of the organizations we surveyed prefer buying managed SD-WAN, demonstrating a preference for presales and postsales support. A preference for type of managed service provider does not align with legacy carrier MSP adoption rates. Include SD-WAN solutions on their shortlists if they’re aggressively migrating apps to the public cloud, building hybrid WANs, refreshing branch WAN equipment and/or renegotiating a managed network service contract. 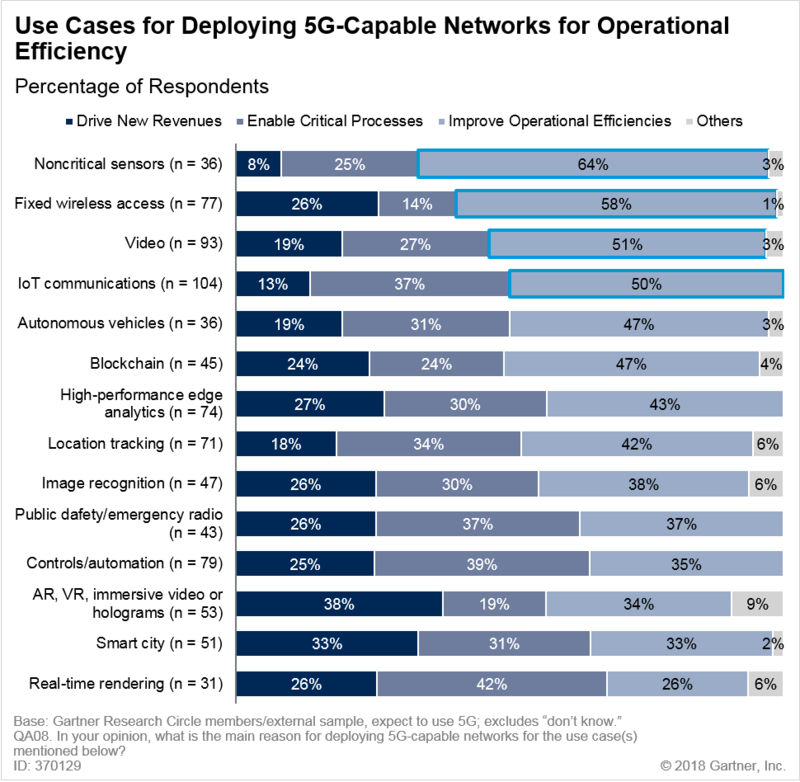 Include a diverse range of management solutions related to SD-WAN considerations; don’t just look at carrier offers to determine the best option available to meet enterprise requirements. Compare each vendor’s current features and roadmaps with enterprise requirements to develop a shortlist, and use pilots and customer references to confirm providers’ ability to deliver on the most desirable features and functionality. Focus pilots on specific, critical success factors and negotiate contract terms and conditions to support service configuration changes, fast site roll-out and granular application reporting. Negotiate flexible WAN or managed WAN services contract clauses to support evolution to SD-WAN when appropriate. Gartner has forecast SD-WAN to grow at a 59% compound annual growth rate (CAGR) through 2021 to become a $1.3 billion market (see Figure 1 and “Forecast: SD-WAN and Its Impact on Traditional Router and MPLS Services Revenue, Worldwide, 2016-2020”). Simultaneously, the overall branch office router market is forecast to decline at a −6.3% CAGR and the legacy router segment will suffer a −28.1% CAGR through 2020. SD-WAN equipment and services dramatically simplify the complexity associated with the management and configuration of WANs. They provide branch-office connectivity in a simplified and cost-effective manner, compared with traditional routers. These solutions enable traffic to be distributed across multiple WAN connections in an efficient and dynamic fashion, based on performance and/or application-based policies. The survey data highlights that most of the respondent organizations are in the early stages of their SD-WAN projects. To qualify, respondents must be involved in choosing, implementing and/or managing network services and equipment for their company’s sites, while their primary role in the organization is IT-focused or IT-business-focused. We intentionally searched for companies that plan to use or are using SD-WAN. Of those surveyed, 93% plan to use SD-WAN within two years or are piloting and deploying now, with approximately 73% in pilot or deployment mode. These results do not reflect actual market adoption rates, because Gartner estimates that between 1% and 5% of enterprises have deployed SD-WAN. Although the results differ numerically, the qualitative feedback is compelling. Respondents using SD-WAN; n = 21 (small sample size; results are indicative). Totals may not add up to 100%, due to rounding. Enterprises cite their lack of deep technology familiarity as a key barrier to using SD-WAN. In fact, of those who plan for SD-WAN, nearly 50% have concerns about their lack of technical familiarity, followed by concerns over the stability of vendors and concerns about performance and reliability. Editor’s Note: Surprisingly, enterprises don’t seem to be concerned with the lack of SD-WAN standards which dictates a single vendor solution/lock-in. With more than 30 SD WAN vendors in the market and consolidation accelerating, this doesn’t come as a surprise. Vendor stability is a major concern. Among the 51% of respondents who selected performance and reliability as key drivers (n = 44), nearly half (45%) had concerns about the stability of the vendors. 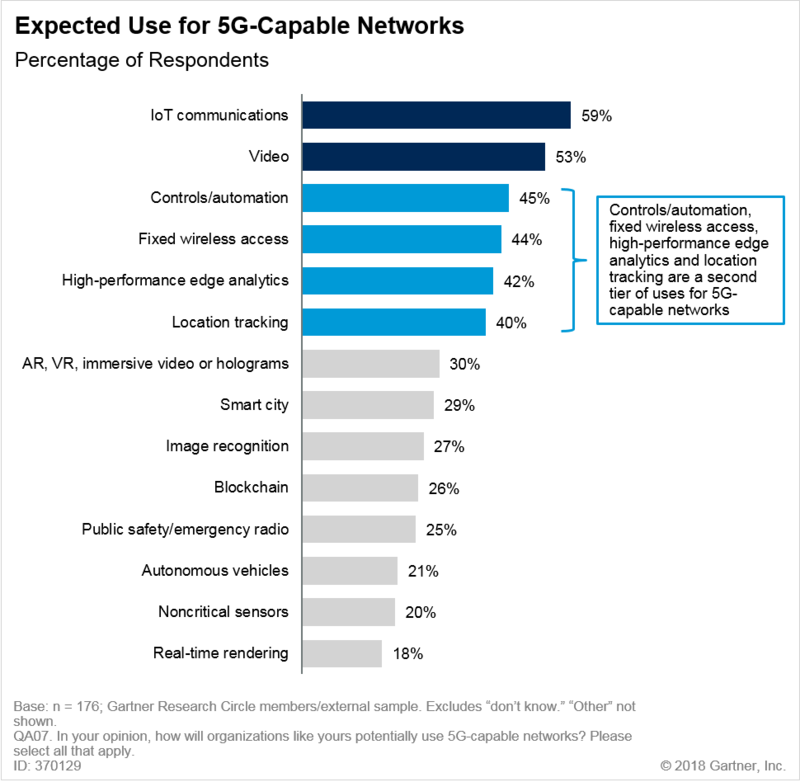 Many among the 50% who see agility as a key driver (n = 36) expressed concern about their lack of familiarity with the technology. Among organizations with fewer than 1,000 employees (n = 53), the most common concern is lack of familiarity with the technology (51%). Organizations with 1,000 to 9,999 employees (n = 38) find the ROI of the investment to be most common challenge (50%). Among the EMEA respondents (n = 48), half were most concerned about the stability of the vendors, followed closely by concerns about proven performance and reliability.